The little red-clad character in this screenshot is Graja. Sadly, she managed this feat due to a bug. I’ve been revamping the game logic around quests; mostly focused on AI, but also touching a little at how the game mechanics around them work. And.. I sort of messed things up a little. I was fixing a bug which caused AI Questing behaviour to automatically switch from one quest to another, when a quest was completed, instead of finishing the questing action and considering whether to go do something else instead (such as actually turn in the quest and progress to the next one from the same quest giver). And in doing so, I had the game systems stop automatically clearing out completed quests — it now leaves them around so that the AI can notice that it’s working on a quest which has actually been completed. What I didn’t do was stop the game from awarding quest XP multiple times. So Sabrina here went and completed her first mission, and the game then went mad awarding her infinite XP for that one mission completion. I only realised it had happened because she loudly declared that she was ascending (which is the internal term for when a player decides that they’re too advanced for the region they’re in, and starts looking for a way out), and I happened to be watching those AI debugging messages at the time. So she didn’t really reach maximum level legitimately; rather, she got lucky and benefited from one of my bugs. 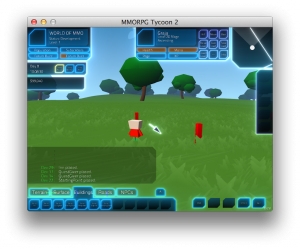 But still, Sabrina’s the first to get there in all the time I’ve been working on MMORPG Tycoon 2. I’ll likely use her as a VIP in one of the final game’s scenarios. 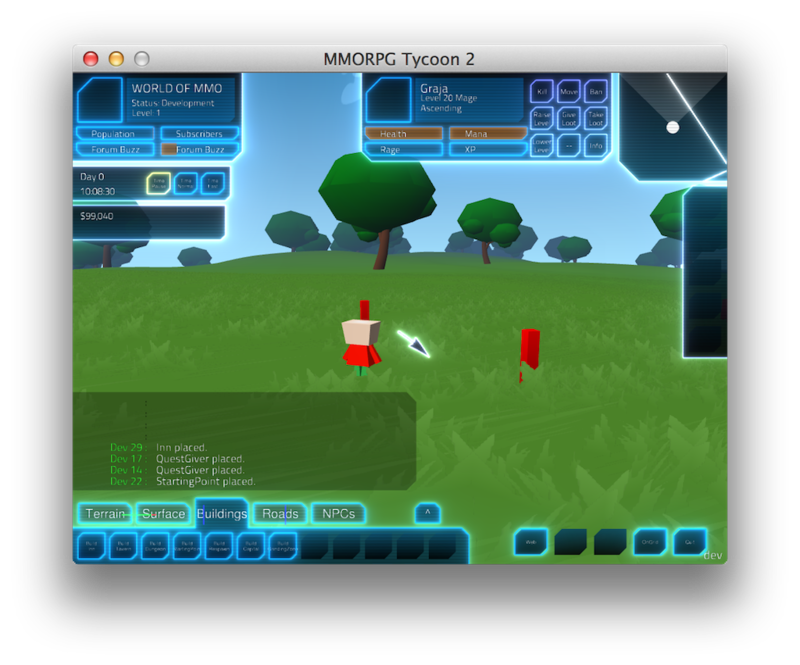 9 October, 2013 in Full Games, MMORPG Tycoon.